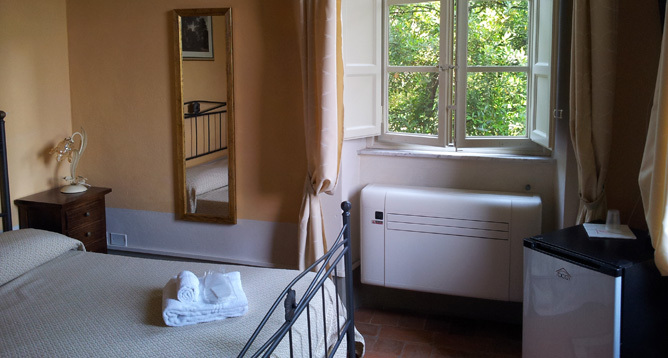 Rooms and Suites are located on 3 floors: they all have access to a large and comfortable lounge on each floor, with sofas and tables, as a perfect relax and reading area. 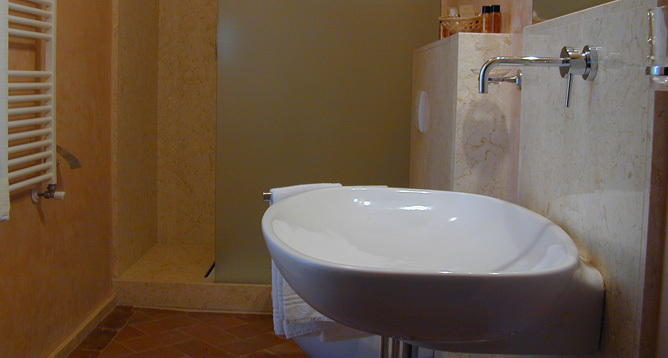 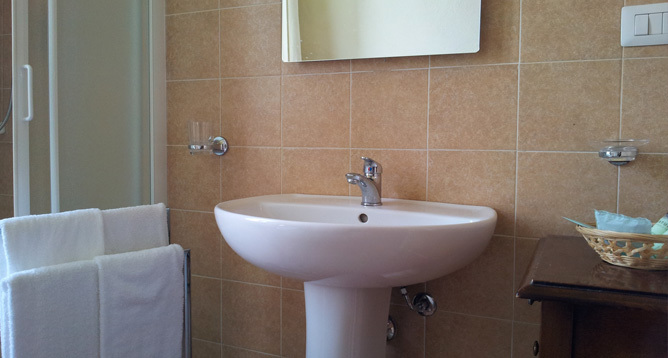 Bathroom ensuite, with shower or bathtub, toiletries. 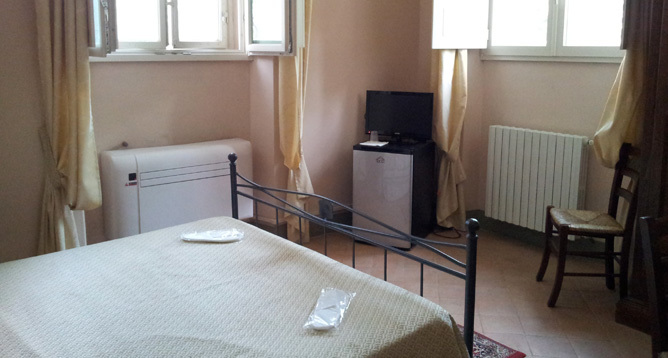 Digital TV with flat screen. 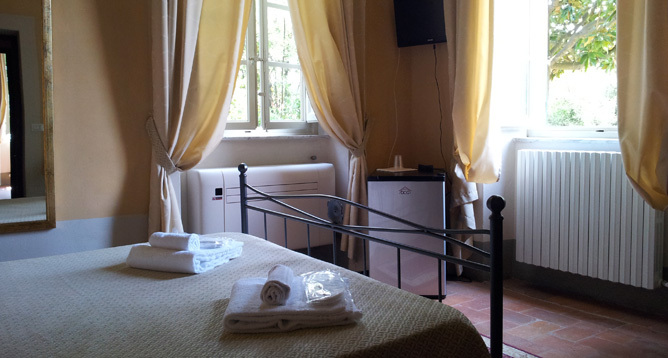 Independent heating, air conditioned and minifridge (service minibar on request). 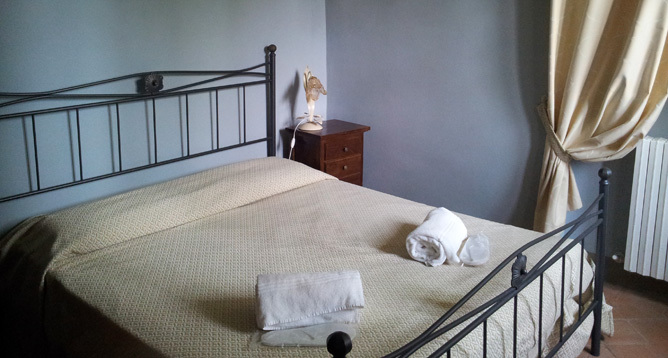 Bed linen and towels, daily cleaning. 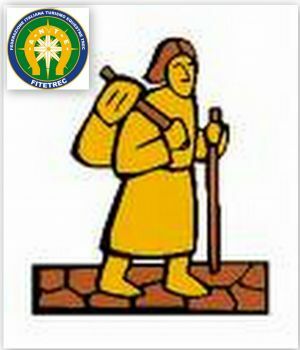 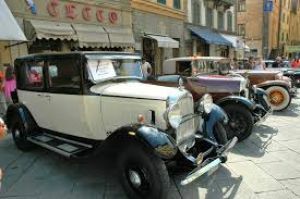 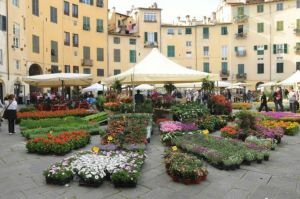 Multilanguage staff, Concierge service (reservation for taxi and private transfer for Florence/Pisa airports, restaurants, cooking courses, etc). 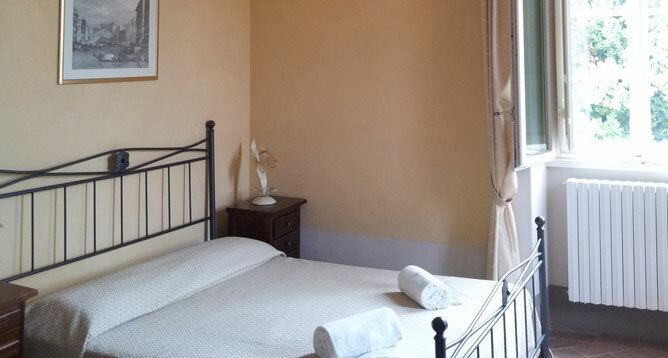 Economy double room ( 17 m²): located on the ground floor, facing the garden and the main road, bathroom ensuite with full toiletries, windows double fixture, minifridge, digital TV, free Wi-Fi, heating and air conditioned. 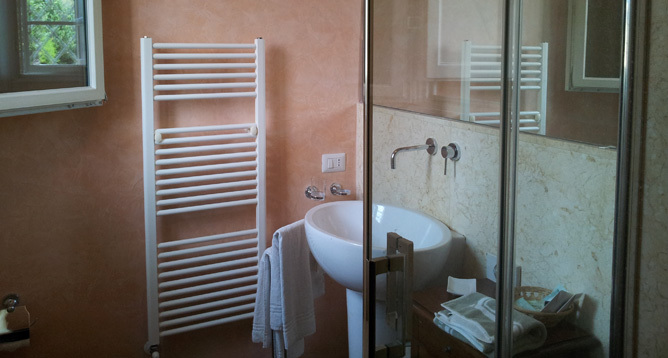 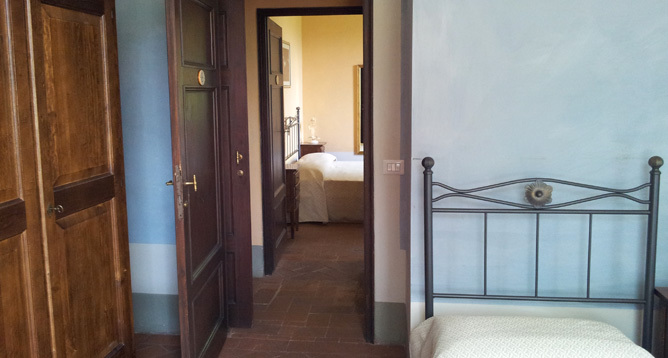 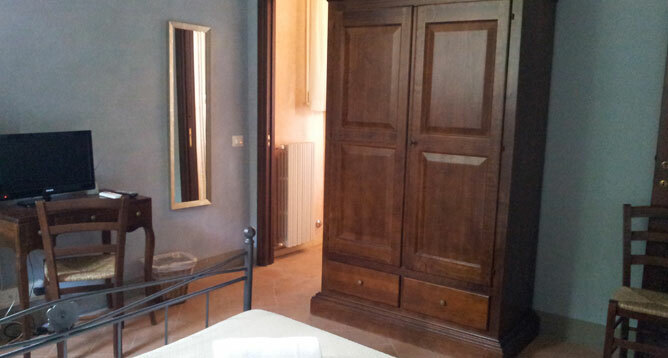 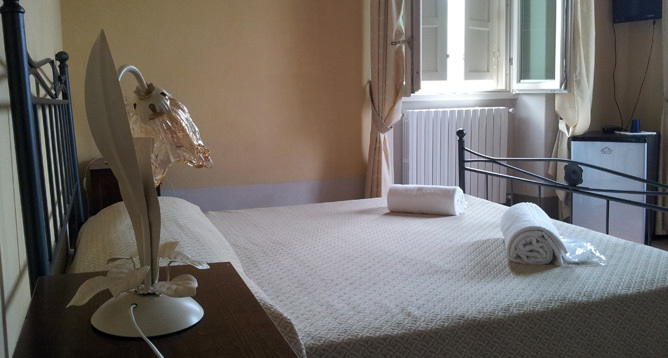 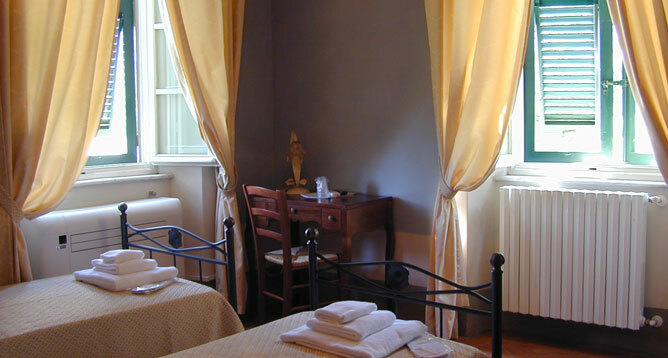 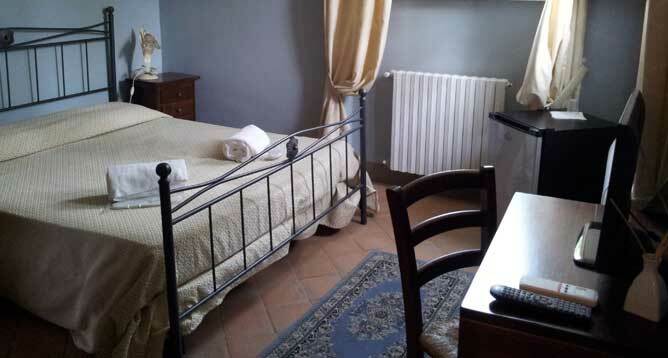 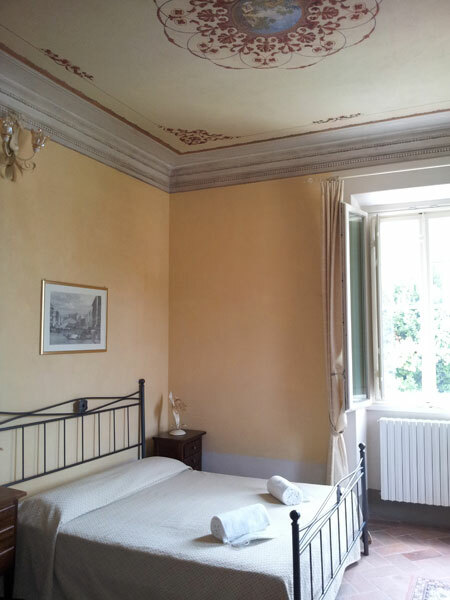 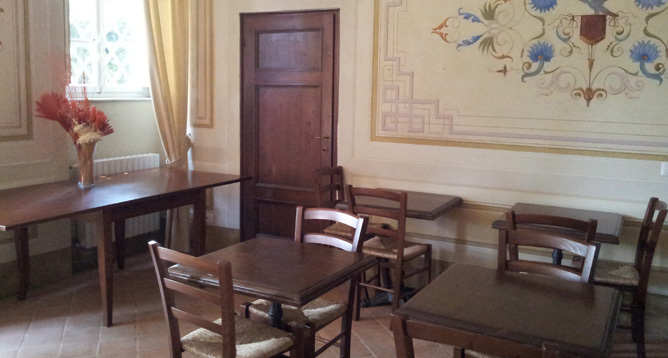 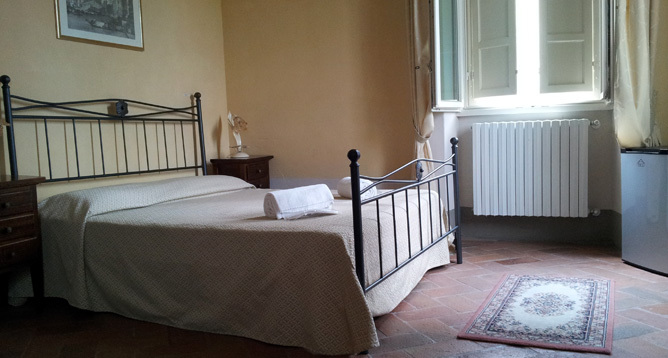 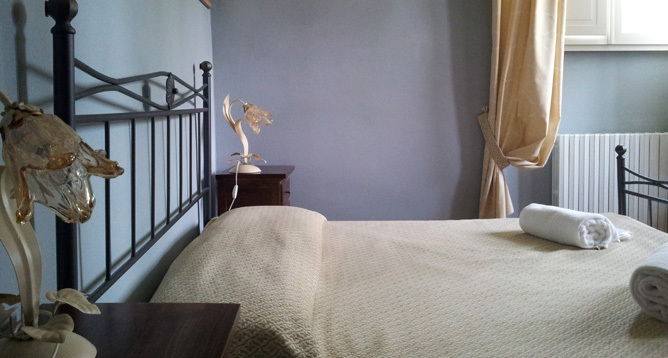 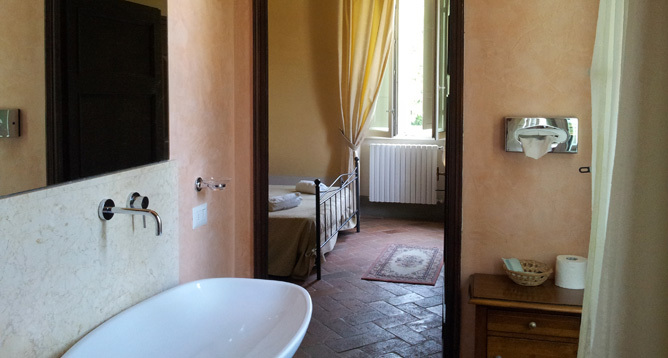 Classic double room (20 m²): larger, located on the first or second floor, some with frescoes or panoramic view, bathroom ensuite with full toiletries, windows double fixture, minifridge, digital TV, free WiFi, heating and air conditioned ( an extra bed can be added, on request). 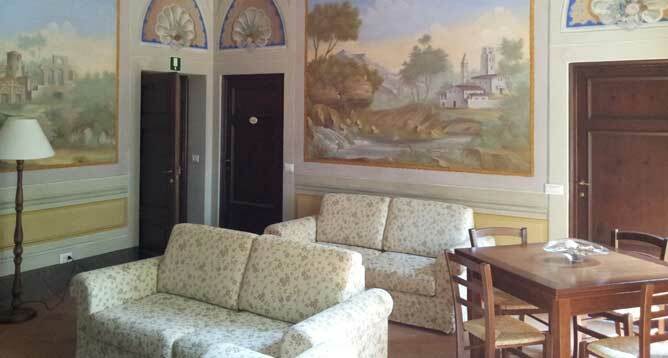 Family suite (35 m²): large and comfortable , located on the first or second floor, some with frescoes, in quiet position, with panoramic view on the surrounding countryside, consist of 2 connecting rooms ( one double, one twin-bedded, one bathroom with shower and full toiletries), minifridge, digital TV, free WiFi, heating and air conditioned ( an extra bed can be added, on request). 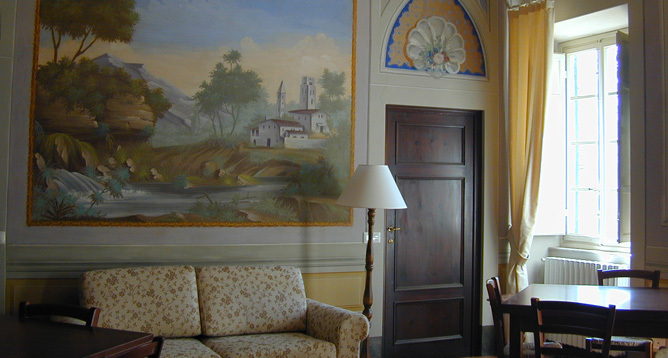 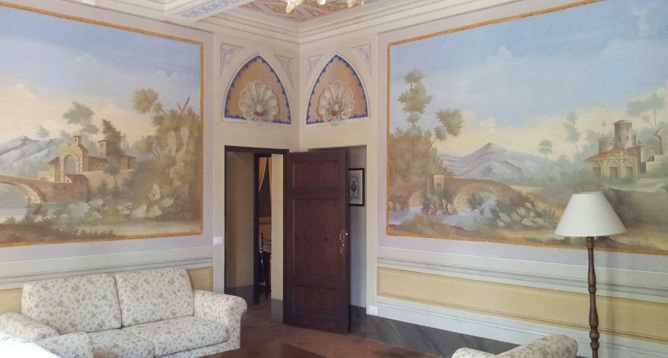 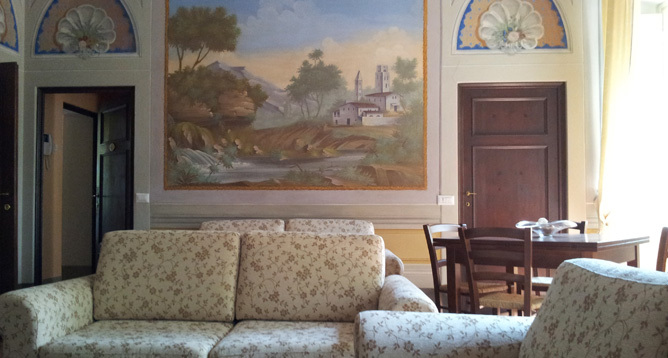 Elegant Lounge: at disposal of all guests as a relax and reading area, it's on the main, noble floor of the Villa, and it's decorated with beautiful frescoes. 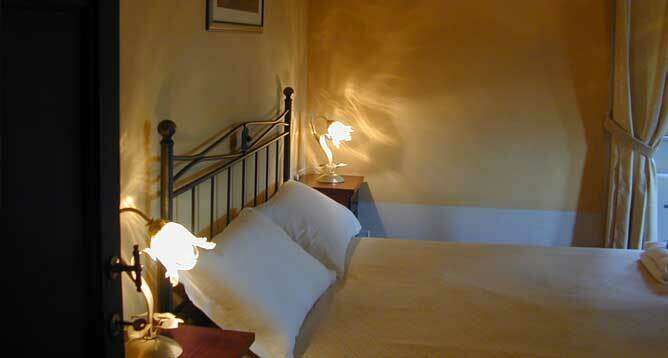 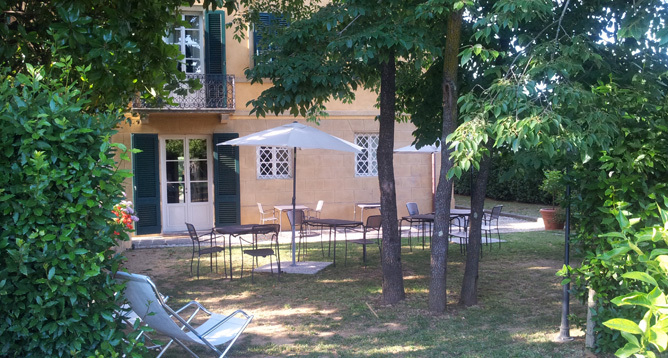 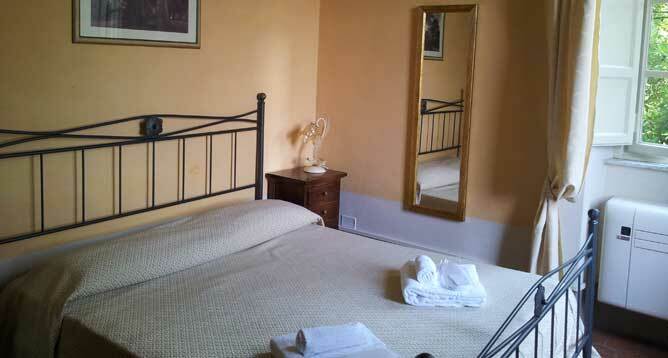 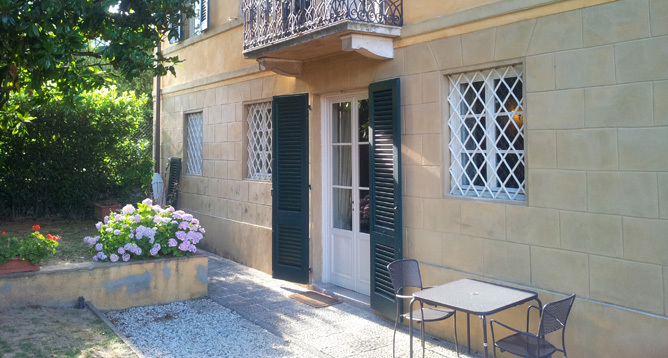 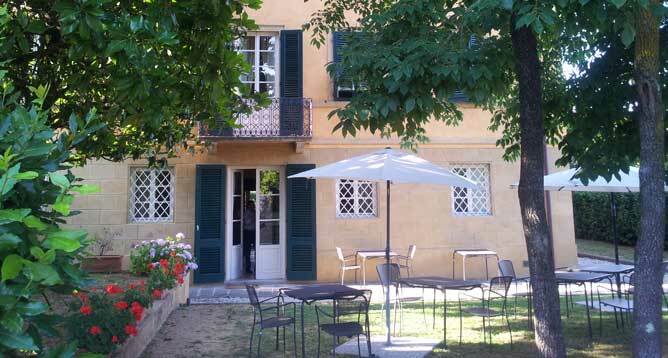 Bright and cool, with free WiFi, also has a panoramic balcony overlooking the garden. 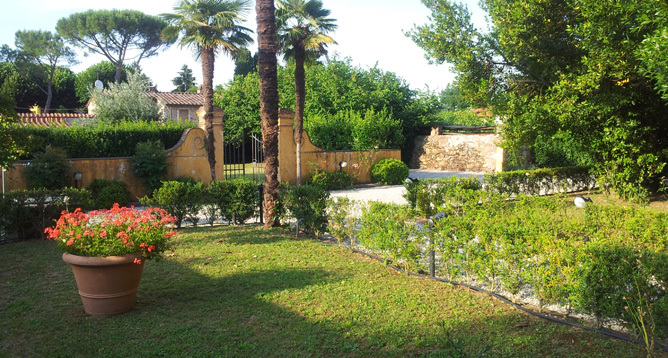 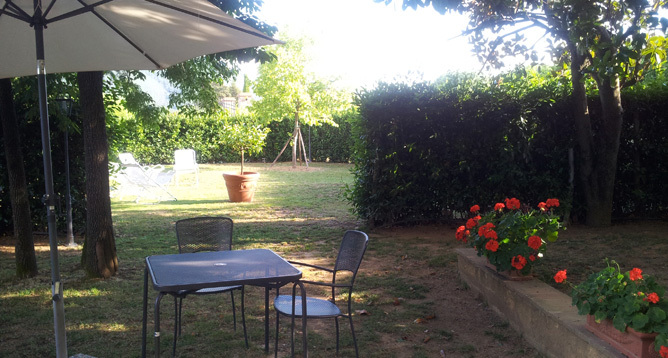 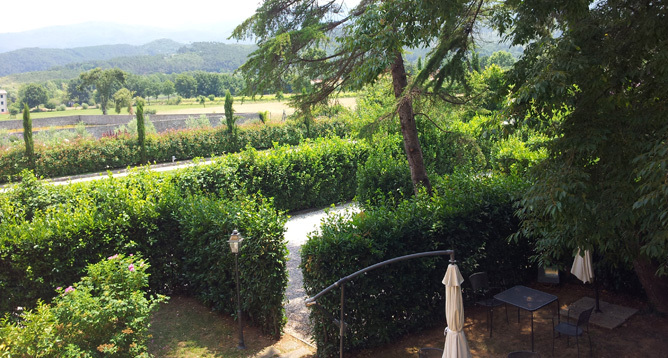 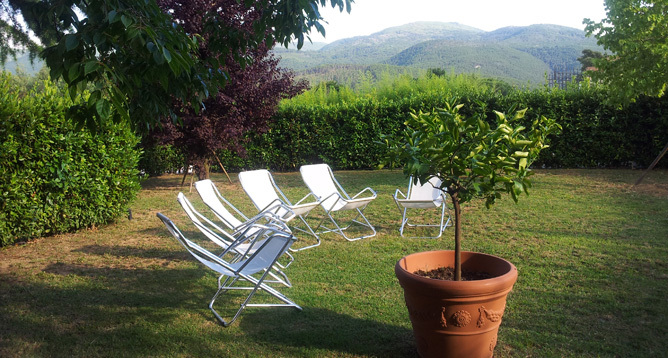 Garden & Countryside Lucca: green and flowery area, where we serve our buffet breakfast under the shadow of secular magnolias, and where guests can sit and relax.